PUMA CATch up>>SPORTS>>Jogging? A thing of the past! Despite new and eccentric types of sport sprouting up every few weeks, running has been a constant among fitness lovers forever. 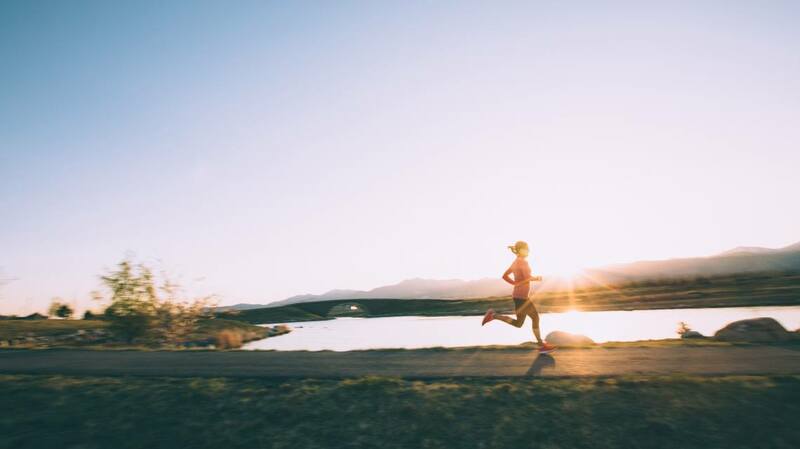 The past few years have seen a return to running for its pleasant impact on your health and finances, because (let’s call a spade a spade) it’s cheap! Granted, it can get a bit monotonous. For more variance in your running programme, try out these running trends! Relaxing and good for the soul: With the so-called “yoga-runs” you incorporate short stops at beautiful spots along your running track. Here, you work in some resting positions, which the yogis call Asanas. It doesn’t matter whether you decide on a warrior pose or the sun salutation. What’s important is that you consciously make pauses to catch and control your breath, while at the same time strengthening your muscles with the Asanas. A nice addition to your endurance workout. If you are away on a business trip, a weekend getaway or your well-deserved holidays, you might want to try out “sight-jogging”. As the name implies, it combines sightseeing and jogging. This is a great way to maintain your fitness routine while absorbing some cultural education. If you’re scared of getting lost: a lot of cities offer special guided sight-jogging tours. Some people might not enjoy running on their own. If you count yourself among those, you might consider joining the “social running” trend. Thanks to digitalisation it is easy to find new running partners and create a network. If you prefer to run in large groups to keep up your motivation, you might want to sign up to special groups for this on your social media. This way jogging becomes a communal activity. And who knows, you might even make some new friends. Most runners form a unique bond with nature through the course of their fitness routine. So why not do some good for the environment while you’re at it? That is the idea behind “plogging,” a combination of running and collecting trash. This trend originated in Sweden and has already found many supporters around the world. The term is made up from the Swedish words for jogging and collecting. All you need – aside from your runner’s outfit and shoes, duh! – is a garbage bag. And besides taking care of the environment, you also take care of your body: bending down activates your core muscles, which are normally used less while running. By the way: there are several groups on social networks that focus on connecting runners who want to start plogging. You might be able to tick off two trends at once. Granted, HIIT-running is not exactly new to most runners. It is still a trend, though. Instead of incorporating short sprints in your routine, you slip in some high intensity exercises – for example squat jumps, burpees, or jumping jacks. For beginners it will be enough to alternate between 2-3 minutes of jogging and 30-seconds of high intensity exercise. Keep this up for 30 minutes in total to activate the fat burning process, if you are going for weight loss. Trailrunning is a beloved trend among urban runners in particular. To change things up a little, big city dwellers like to get out into nature, for example on the weekends. And not just to enjoy the peaceful scenery, trailrunners want to get out into the wild like Emile Hirsch. Off the beaten path, with rocks and stones, over hills and through often slippery and muddy ground after rainfall – anything but boring. This way you’ll activate a variety of muscle groups, as opposed to classic jogging on city pavements. If you don’t want to make the trip out, you can resort to “urban trailrunning,” using stairs, benches and other obstacles – even though that sounds a lot like parkour with extra steps. Whichever way you run, we hope you feel fantastic and take care of yourself.